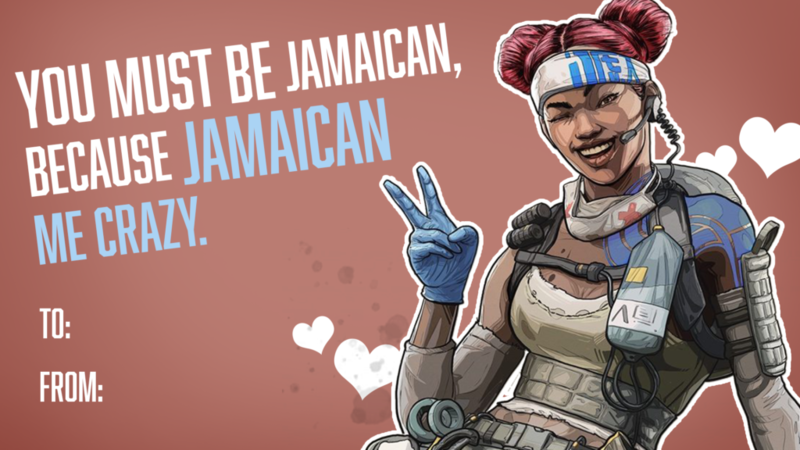 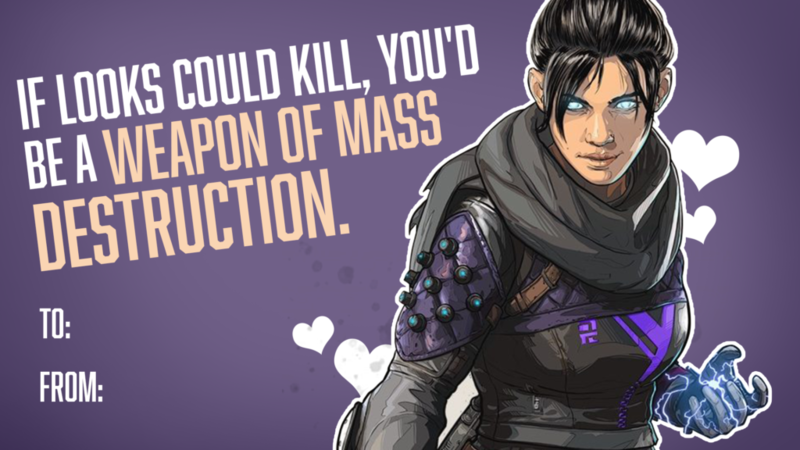 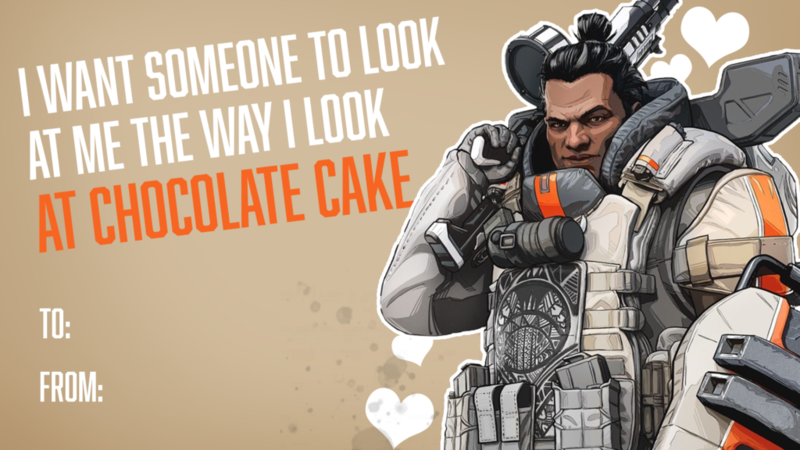 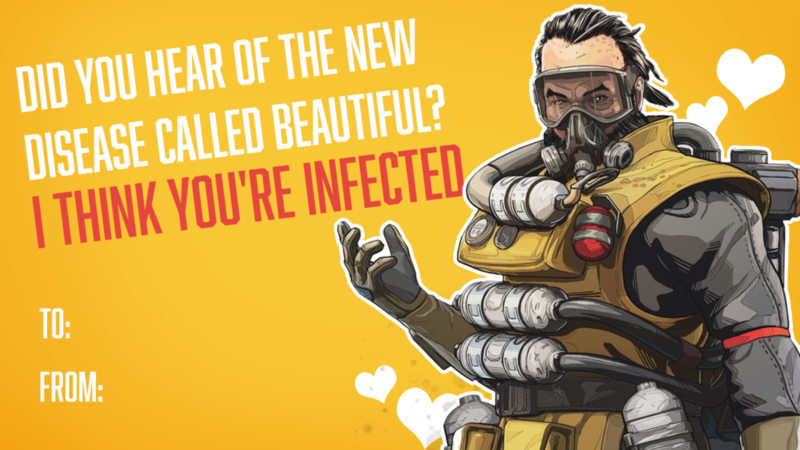 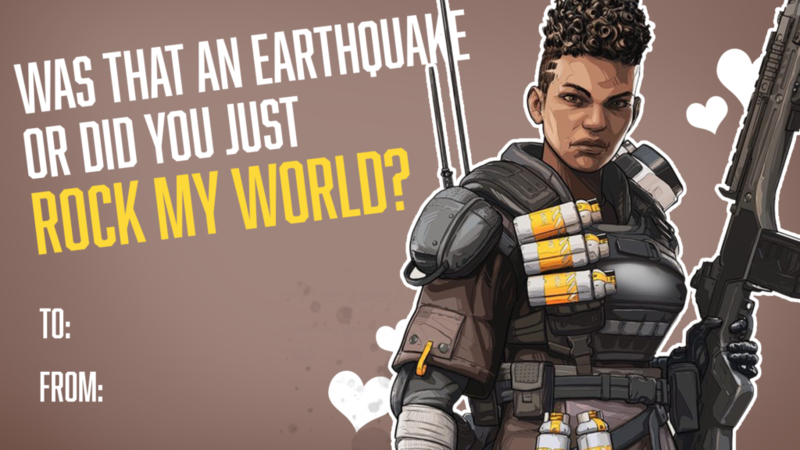 We are in love with Respawn’s new battle royale game, Apex Legends! 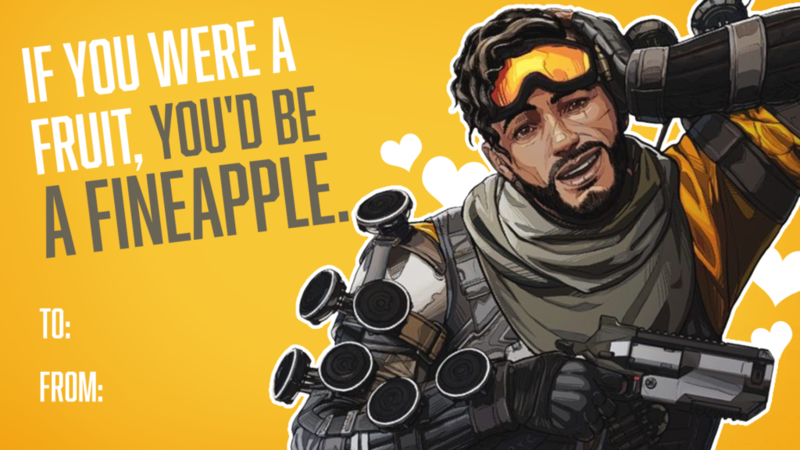 With Valentine’s Day tomorrow, we thought it would be fun to create some Legends inspired cards to send to your love ones on social media! 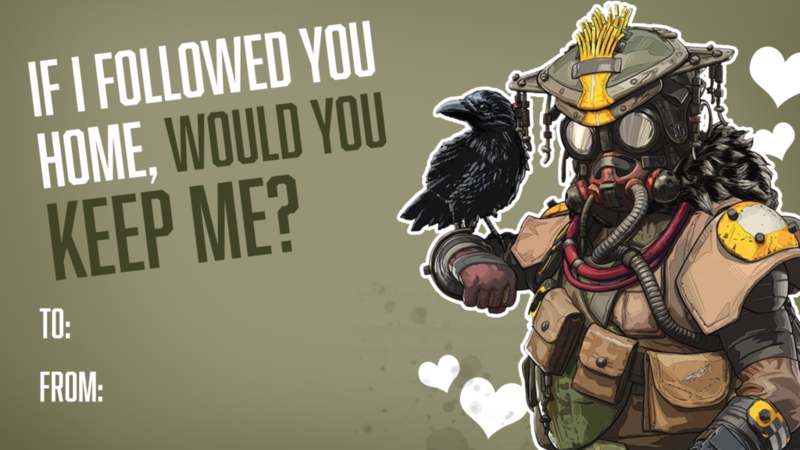 If you haven’t already, also check out our Apex Legends 5k Desktop wallpapers. 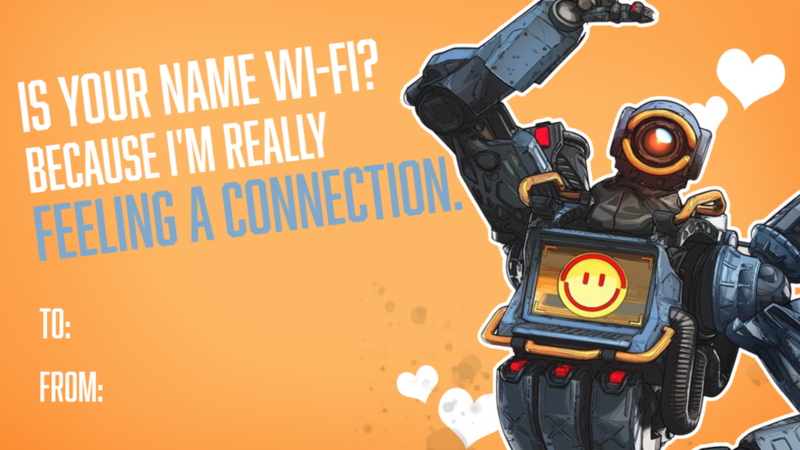 All you favorite Legends are represented and free to download.